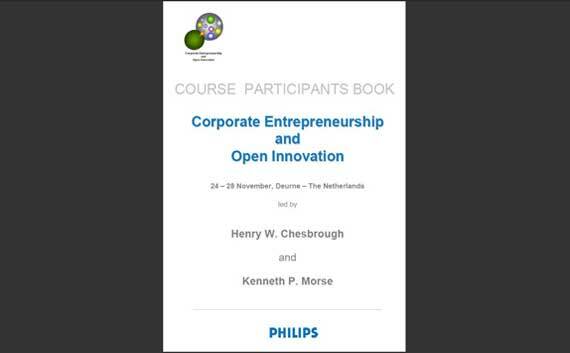 A little more than a week ago, from November 24th – November 28th, I attended the much anticipated fifth European Masterclass on Corporate Entrepeneurship and Open Innovation organized by Ronald Wolf (Philips) and Wim Vanhaverbeke (Hasselt University). The beautiful main location was the Conference Hotel Willibrordhaeghe in Deurne (Netherlands), while some sessions took place at the Philips High Tech Campus (Eindhoven). The two worldclass experts and keynote speakers of the fifth European Masterclass on Corporate Entrepeneurship and Open Innovation, Henry Chesbrough (UC Berkeley) and Kenneth Morse (MIT), are the leading experts in the professional fields innovation and entrepreneurship. I was fortunate to attend a keynote session with Henry Chesbrough during a symposium, open innovation and creativity in management and governance. Combined with the fact that I’m currently completing a master program Innovationa and Entrepreneurship at the University of Twente, the fifth European Masterclass on Corporate Entrepreneurship and Open Innovation, was a unique opportunity to meet both experts and learn from them. Overview of the group working on a business case, fortunate to stand left next to Kenneth Morse. On the right event organizers Ronald Wolf and Wim Vanhaverbeke ! The subtitle of the fifth European Masterclass on Corporate Entrepeneurship and Open Innovation is “Open Innovation based New Business Creation for Corporate and Start-up Entrepreneurs”. Most remarkable aspect from the first paragraph from the aim section is the cross functional approach, in which most relevant aspects of a modern business, venture or start-up are addressed. The open innovation theory is not only addressed as a tool, but it can futhermore be seen as a driver for value creation, entrepreneurship and and exploring new opportunities in the market. In addition to the unique situation where two worldclass leading experts, and pioneers of their professional field are brought together in a Masterclass, you can see that there is also room for a realistic, more practical oriented business case. Via this way you learn to apply theory and work with in realistic real-life scenario’s ! Finally a great systematic overview of objectives is provided on the Masterclass Corporate Entrepreneurship and Open Innovation website, to give you an idea of the skillset and scientific theory that is developed during the Masterclass. As you can read in the paragraph the start is at basic fundamental level of the traditional model, still available in a lot of companies. 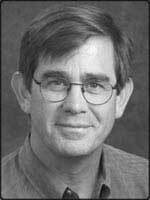 In a good mix of both scientific theory, business cases and experiences of Henry Chesbrough a comparison between the traditional model and the open innovation model is discussed! Furthermore a great session of Graham Cross, Collaborative Innovation Director at Unilever Foods, provides an idea of how open innovation is implemented within Unilever Foods. You might want to read an interview with Graham Cross on www.openinnovatie.nl ! Professor Chesbrough builds further on the knowledge about open innovation from the previous day. The central theme of the day is opening the business model for innovation. It is not the pure technology itself that has a disruptive or radical character in the market (you might know the research of Professor Clayton Christensen), but it is the underlying innovative business model that causes the disruptive nature !! An interesting book to read is “Open business models: how to thrive in the new innovation landscape” and not surprisingly written by professor Chesbrough ! Kenneth Morse has a different style but excellent way of teaching, and with help of a few business cases and his own experience the central theme of today -creating new ventures- is intensively discussed. Within the creating new ventures theme a great deal of attention has been spent on the development of a business proposition, and the way of communicating the proposition in an elevator pitch ! In the evening event, it was time apply the knowledge of today in practice during a realistic scenario where you can meet protential customers, venture capitalists and sales executives. This practical excersise is really aimed at developing a skillset that only can be learned by training and doing !! 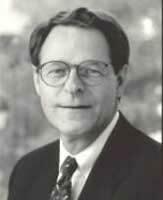 As a student I wasn’t aware of the complex set of dynamics around the activity of closing a deal. In a multi perspective session Kenneth Morse was willing to share best practices, combined with practical examples, about how to close a deal. A lot of the dynamics of closing the deal were completely new to me, but my compliments for the excellent step-by-step approach of Kenneth Morse that made this imporant step of building a business insightful ! In the afternoon program Kris Van der Velpen, Director Fortis Venturing, Fortis Brussels, Belgium, was willing to provide “a view in the kitchen of Fortis Venturing” around the topic of Open Innovation – an important driver for sustainable service innovation. The final day of the Masterclass Corporate Entrepreneurship and Open Innovation, was completely aimed at presenting and selling the business case which we as a group have been developing in the past week. The business plans were presented to venture capitalists. You can imagine that this has been a very rich experience, and the feedback & experiences from these kind of exercises will be valuable additions for the rest of my professional carreer ! Of course it was awesome and very valuable to meet, experience and learn from the worldclass experts and founder in their professional field Henry Chesbrough and Kenneth Morse. Both had a very different style of teaching, but it was a unique experience to learn from them and they really embedded the knowledge in my brain in such a short time. This illustrates their excellence and outstanding professional quality ! Furthermore both gentlemen have a background both in science and business practice, which came back in their lectures from the past week. Not only meeting two worldclass experts was an unforgetable experience, but also the wide range of attendees from different companies, different educational backgrounds and different corporate levels was very valuable. Especially for me as a student it was a great challenge to keep up with the corporate talents, however in the end I gained a lot of value from the interaction with the group of attendees as well ! I hope to stay in touch with them in the upcoming future. Finally I would like to congratulate the organizers Ronald Wolf (Philips), Wim Vanhaverbeke (Hassel University) and the rest of their team Margot Franken-Richelle and Anny Roelandts for the excellent organization of the fifth European Masterclass on Corporate Entrepreneurship and Open Innovation. I think you can be proud on such a great event ! I hope that I will look back on the fifth European Masterclass on Corporate Entrepreneurship and Open Innovation in a few years and conclude that this has really been a life-changing event for me both on a professional level as well as in my personal development !! “Ken Morse is a serial entrepreneur, having played a key role in launching several high-tech start-ups, including 3Com Corporation, Aspen Technology, Inc., a China Trade Company, a biotech venture, and an expert systems company. As head of the MIT Entrepreneurship Center, he is responsible for inspiring, training, and coaching new generations of entrepreneurs from all parts of MIT. Ken has been profiled and quoted in numerous publications, including the Wall Street Journal, Financial Times, Economist, and Red Herring. Since Ken joined the MIT Entrepreneurship Center in 1996, the number of students taking Entrepreneurship Courses has increased from 220 to 1.500 per year while the number of professors has grown from 3 to 30. Hey!, I found this information for you: "European Masterclass on Corporate Entrepeneurship & Open Innovation with Henry Chesbrough & Kenneth Morse". Here is the website link: https://www.remo-knops.com/1837/corporate-entrepreneurship-open-innovation-henry-chesbrough-kenneth-morse/. Thank you.